WHO ARE EYELASH EXTENSIONS FOR? EVERYONE! Lash extensions simplify a beauty routine for working professionals, athletes, busy moms, vacationers, and anyone on the go. 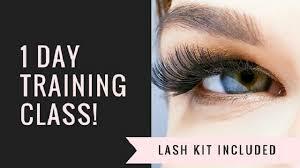 Lashes enhance your professional image; providing a finished and polished look even if you don’t wear much makeup. Lashes can help you gain confidence in your appearance if you have recently come out of illness or chemotherapy, or have very fine and light lashes. 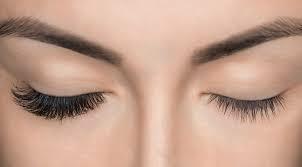 If you are getting married, attending a special event or being photographed lash extensions will open your eyes up and create a “wow” in your look like nothing else. The fine art of lash extensions requires patience, training, and understanding of hair physiology. 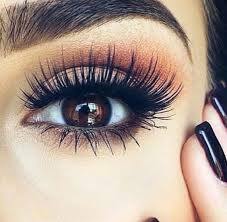 Appropriately applied lash extensions is a one to one ratio , meaning that one extension is adhered to one individual existing eyelash. The trained technician also understands which lashes are the best to coat, for longevity and the health of your own lashes. Properly applied extensions will not cause damage to your lashes. A number of my clients have been getting regular fills for more than 4 years, with great results. The artistic skill which results in a beautiful look is created by using a variety of lash sizes, thickness, textures, and curl, and understanding on how to place them. Come showered for the day, with clean eyes. Note: Caked on mascara that cannot be easily removed will create problems with the bonding of extensions. Try to avoid beverages beforehand that will cause you to be jittery ( if you are prone). Make sure your bladder is empty beforehand, and avoid diuretic type beverages which will cause you to require the bathroom. Full set: Expect a turnover at about 3 weeks. This creates a full, gorgeous look that is very natural and personalized just for you. Takes about 1hour 30 minutes to 2 hours. Bridal/ Holiday set: This is designed to provide a full and beautiful look, for a time-limited period of 1-2 weeks. It will look close to a full set, but not last as long. Takes about 30 minutes to 1 hour. Refill set: The goal of the refill is to replace 1/3 to ½ of the lashes that have turned over and lost. Grooming is done as well (clearing lashes that are about to fall off). Takes about 30 minutes up to an hour. Suggested timing for refills is about every 2-4 weeks, with every 3 weeks being the average. Lower Lashes: Lower lashes can be extended, but longevity is limited. This procedure costs extra, as extra care must be taken. Recommended for special occasions or photo shoots. 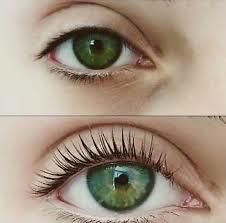 It’s an alternative to lash extensions and falsies for a curled lash effect. 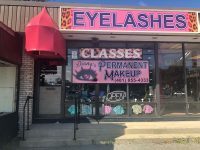 While some lash lifts use perm and ammonia solutions, Diane’s Permanent Makeup uses a keratin treatment that enhances your natural lashes by lifting the hairs and curling them. Although healthy, thick lashes will show the best results, everyone is a candidate. HOW LONG DO THE RESULTS LAST AND WHAT IS THE UPKEEP? 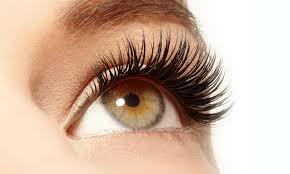 The lash lift can potentially last 8 to 12 weeks. You will see really nice results for the first four weeks. Because the process works best on healthy virgin lashes, we will only work on repeat clients every 8 weeks to allow the old lashes proper time to shed. The average cost is $150 per treatment; you may call for our special prices. 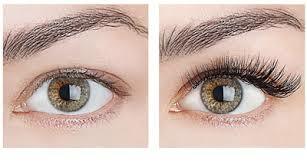 Other, cheaper lash lifts might use perms and ammonia on the lashes, which could cause lash breakage at the very least. If you’ve found a brand that isn’t keratin, do your research to ensure the formula is a safe and reliable option.